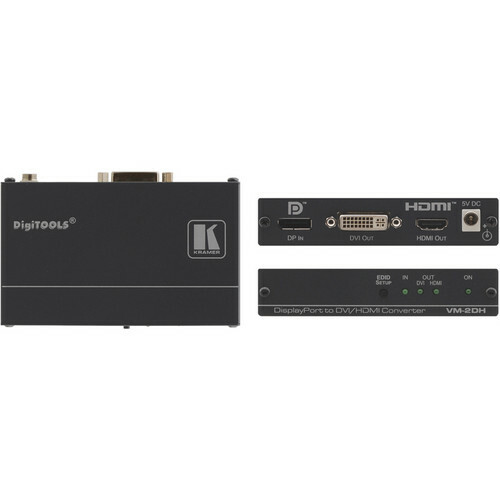 The Kramer VM-2DH DisplayPort to DVI / HDMI Format Converter is designed for DisplayPort signals. The unit inputs a DisplayPort signal that it converts to HDMI and DVI outputs. HDMI, HDCP, DDWG DVI 1.0. Box Dimensions (LxWxH) 6.35 x 4.8 x 3.45"